Sabastian Lucas from Queensland is a focused 7-year-old, and he’s apparently always been this way. At age four, he decided he wanted a pony. Instead of begging his mum and dad to buy him one, he did what any entrepreneur would do: He made himself an income by starting a business. In this case, it was a lemonade and iced-tea stand, selling drinks for 20 cents each. If you’ve ever seriously entertained the idea of buying a pony for your kid, you’ll know that they’re not cheap. We don’t know how much Sabastian’s pony, Tom cost, but we do know Sabastian saved $3000 towards his goal. For those doing the maths, that means he sold 15,000 cups of lemonade in three years. If business owners aren’t pushing each other over to hire this kid, we will. 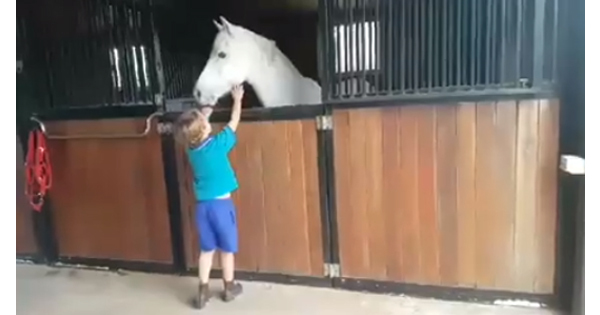 Sabastian had saved nearly $3000 when she found the 13-year-old pony this month, so she decided it was time for her son’s dreams to become reality.